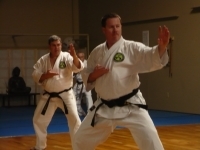 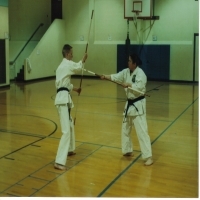 Shorin-Ryu Karate Kobudo is a traditional martial art that focuses on traditional Kata (forms), Bunkai (applications) and Kobudo (Okinawan martial arts weapons). 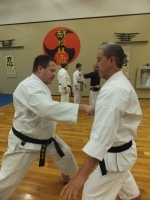 From Bunkai we work Goshindo (self-defense applications), Kensetsu waza (joint locking and trapping), Kumite (sparring), Nage-Waza (throwing) and Ukemi-Waza (falling or controlling the fall). 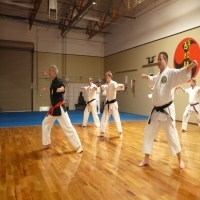 Our Okinawan weapons includes: Bo, Han-Bo, Nunchaku, Sai, Tonfa, Eiku, Boken, Katana and Kama. 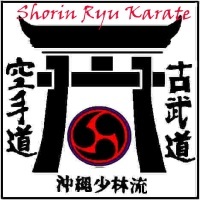 Shorin-Ryu Karate originated in the islands of Okinawa and is considered to be one of the most pure forms of this ancient martial art.